Most parents will do everything to provide for the needs of their children. If you’re a stay-at-home parent, you surely want to earn additional money so you can pay the bills and send your children to a decent school. This is one of the most profitable home-based businesses you can do. Being a financial aid planner will allow you to help other parents have the best college financial aid for their children’s education. Intensified career. Being a consultant for college students who are looking for educational financial aid is a great opportunity for you to have a great career. Imagine helping students achieve proper education that will prepare them for the future. Network is strengthened. If you want to have a more intensified financial source, helping those parents and students who need aid is a chance for you to boost your network. Learning continues. Not only that you’re giving your time to those people who require your service, you’re also learning while working as a home-based consultant. This learning is eventually a lifelong process. Compensation is definitely good. If you’re a consultant, in general sense, you’re having a good compensation compared to other types of work. Can you imagine yourself earning 6 digits in just a short period of time? Compromised lifestyle. If you think that being a home-based consultant can give you comfort, you’re wrong. Why? You have to spend countless hours at home doing research and assessing everything related to your financial aid field. No time for travel during the consultancy period. Unless the duration of consultancy has ended or expired, you’ll spend lesser time with your family or friends. You’ll find it difficult to juggle your consultancy job with travel and leisure. You’re contained by your consultancy job. Work pressure. Just like any other career and business, you’ll feel the stress level is creeping in. Your work pressure is not in the normal level sometimes, leaving you with headache or nausea. If you love this industry, you have to understand the different financial programs for students such as Byrd Scholarships, Stafford Loans, as well as PLUS Loans. If you’re a wordsmith and can write really great content, then many business owners will be willing to hire you. You can earn extra dollars by writing articles. You’ll be paid more if you are highly knowledgeable or an expert in a particular niche. All you need is a personal computer or a laptop and Internet connection. You can choose where to work –coffee shop, restaurant, park, or anywhere you want. Most writers experience mental block and they need some space to exercise their creative juices. 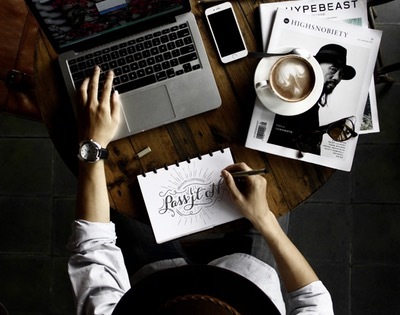 Freelance writers can do this if they’re not tied to working inside a cubicle space. There are no certain rules to follow except the terms and conditions of your clients. You can work at a time convenient and comfortable to you. Not everyone is a morning person and is fit to work in a corporate environment. The good thing with freelance writing is that you can choose to work anytime of the day. Payment or salary. This is the primary consequence when working at home in the freelance writing industry. There are times you’re not paid on time, or worse, scammed. No benefits! Many freelance writers don’t receive benefits other than their usual compensation. Distractions are always present and sometimes they can be intolerable. You’ll find yourself dealing with a grumpy toddler while writing. No certainty how long the project or contract will last despite signing a Non-Disclosure Agreement between you and your remote employer. 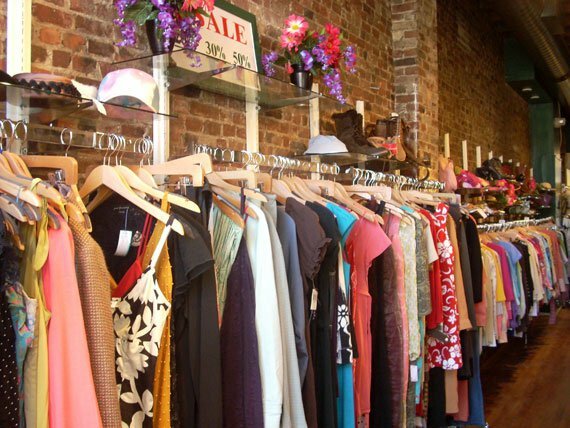 Putting up a consignment shop, otherwise known as a resale shopping store, is a convenient home-based business. You can do it while at home and you can promote the items via social media. There is sustainability. By purchasing ‘pre-owned’ clothing, toys, sports gear, and furniture, your business can have sustainability because these items are non-perishable. One of the tricks to succeeding in this business is focusing on one specialty (i.e. choosing women’s apparel) instead of having different categories. You don’t have to pay for your inventory until they get sold. This means a great business for any startup entrepreneur. The money you make can be divided from either 50/40 or 60/40. More style selections for the customers. Women are known for being stylish and many of them don’t want to wear the same style over and over again. More style selections simply mean you’re making women a lot happier. And this will give you more profit in return! Designer styles for bargain prices. Most brand-new clothing or stuff are expensive because they’re of higher quality than the cheaper ones. You’re helping people save money and stick to frugal living. Treasure Hunt Concept for your customers. Yes, your resale shopping store does have many choices for your valued customers. Some customers are also fond of treasure hunting and collecting old stuff, so your business will thrill them. You’re saving the environment, too. Instead of throwing away old items, you’re helping the reduction of waste that are thrown to the landfills. You’ll spend time cleaning and fixing old items. Of course, you don’t want to send your customers away because your items are soaked in dust and dirt. Make sure to always sell items that are well-taken care of and keep those items clean and presentable. Sizing is a problem. Clothes sold at malls come with different sizes while the clothes customers find in consignments often have one size and have limited stocks. Do you know that farming herbs is one of the fast-growing businesses? Medical herbs, like tea, are highly profitable if you can do this business the right way. Thus, you have to make sure that you understand the dynamics behind this financial source. 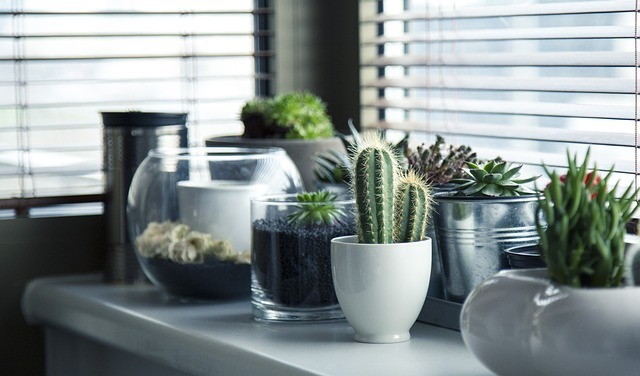 Professional gardening is in demand, so it can make a lot of money for you. What you have to do is to maximize the piece of land intended for this. Profit making is more feasible than doing other types of business. It’s absolutely a profitable business due to its high demand. You can make more money by partnering with other professionals in the industry like landscapers and garden shop owners. Several aspects in gardening can be specialized such as organic gardening, natural pesticides making, edible plants, and native plants. Flowers can be used in making soaps, perfumes, and scent potpourri. It only entails a small portion of your house to be used as space for product preparation. You can also sell flowers to florists and floral shop owners. While at home, you can promote other forms of services like maintenance and gardening lessons or seminars. You can be a gardening teacher and offer your services in community colleges, local nurseries, and recreation centers. You can even hold classes in your backyard. Competition is high. Yes, there are big competitors in this industry. But if you’re ready, you can still make money even if the competition is high. You have to determine a particular niche because the market is crowded. The crowded market can make your business flop. You have to study gardening or even take a formal course. Why? You need an exceptional knowledge on organic materials, pesticides and products. Otherwise, your lack of knowledge can affect your business operation. Even it’s home-based in nature, you still need business and tax licenses. It means additional marked-up capital for the operation. If you don’t have the required licenses, you’ll be facing more problems. You have to deal with the seasonal climate, so there’s an economic curve every now and then. One important tip: To make more profit, you can market your garden products to local inns, roadside flower shops and florists, hotels, wedding planners, and churches. Creating graphic designs can turn out as a great home-based business other than accepting ‘gigs’ from remote clients. You can create informational pamphlets, product advertisements, flyers, and catalogs for business owners. You can work with other creative people. This will help you improve your skills. You can easily promote it online. Even at home, you can make more money by just promoting this business through social media. Or, if you want, you can hire a website developer to create a website for your business. You can join graphic design communities to widen your network. By joining the communities related to your field, more options will become available for you. Your business is flexible. Since you’re doing this at home, you can enjoy more flexibility in promoting your business. You get to work at your own time, so you can have more time for your family. You cannot have a final say on your projects. In this business, you have to consider other people’s ideas and your client’s. It can limit your decision-making. During the first few months, you have to work for free to establish your own portfolio. You really have to work hard for your portfolio, without the assurance that more clients will come in and provide profit for you. Always, there are hard times. Like any other businesses, there are moments when you feel that your business is not doing well. Make sure you’re emotionally resilient. Competition is always tough. There are graphic designers who are better than you are, and some are charging at a lower rate. Not winning a client can directly affect your finances. To prosper in this business, you need to establish good listening skills and a great eye for quality. Your skills can help run a highly viable graphic design business while you’re at home. If handcrafting gift baskets is your thing, then this can be a great business for you. The market is wide and there are so many celebrations and social gatherings—baby showers, birthdays, etc.—that you can take advantage of. Your meal time is not compromised. Yes, it’ll take longer hours before you can complete your baskets. But the most important thing is that you’re at home and you can eat at the right time. You can decide on the rates of your products. This is better than working for another business owner where you’re being paid for your work. 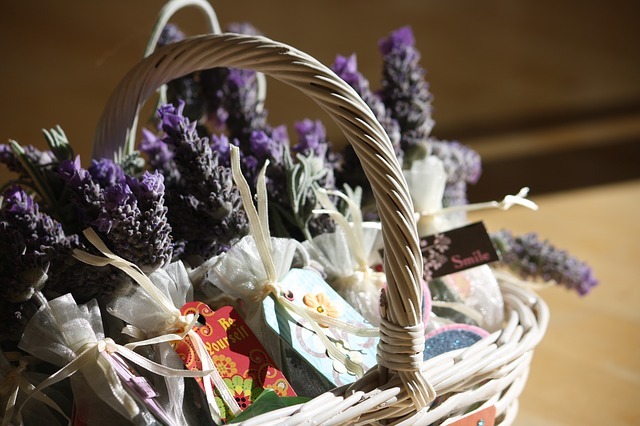 Crafting gift baskets at home is more beneficial in terms of deciding your own rate. You can work even if you’re just wearing your pajamas. There is no dress code because you’re just at home crafting baskets for your clients. You can decide the level of your earning depending on the amount of effort you’re going to exert for your gift making business. No holidays! If there are rush orders, you’ll find it impossible to have a break even during the holidays. If your residential space is not that big and you don’t have enough money yet to rent out a space, you’ll be prompted to use other rooms in your house to continue the production of gift baskets. That’s messy! Those distractions always irritate you and may slow down your production. Make sure you know how to deal with distractions effectively. Other people will not choose your baskets over those that are sold in malls or well-known stores. This is a drawback because you have legitimate competitors, like those conventionally considered as professional gift basket providers. Tip: Try to promote your merchandise to other potential customers like universities and sports teams. This is to expand your basket making market. Cleaning for other people’s house or office? Yes, what’s wrong with that? And you can actually make more money out of scrubbing floors, dusting furniture, and keeping everything clean! You won’t be contained in an 9-5 job, so you can have more time to look for clients who want someone to clean their house and/or office. You can have a consistent cleaning schedule. It implies a constant income. You can eventually leverage it to a cleaning agency. With this, you can hire cleaners and you can earn money while other people are doing the tasks for you. It can be harder than any other jobs. House cleaning is a physical job and it can drain your energy. So if you’re doing it yourself, it requires that your physical stamina is strong enough to handle all the cleaning and moving. You have to learn the house cleaning skills yourself and they should be done professionally. It’s wrong to think that this job is an easy one. Of course, you need time to practice it. Otherwise, your clients will be irritated with the results. Remember: You need to be always friendly and professional to your clients. You have to determine what your clients really need and make sure you meet their demands. Those 7 choices are some of the best home business opportunities. In determining the right one for you, it really depends on your skills, passion, and resources. But you’ll become successful if you put all the effort and determination on your choice of business. They are absolutely a big help when you’re looking for a money-making option while staying at home. Instead of wasting time on senseless things, why not use your time and resources to put up a profitable home-based business?